We met the students in DC...at the airport. A chaotic time and place for introductions. 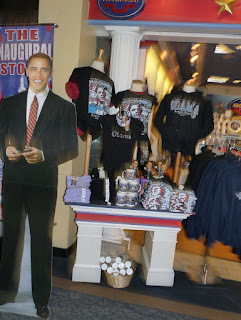 While I awaited their arrival I walked through the airport absorbing the historic moment. 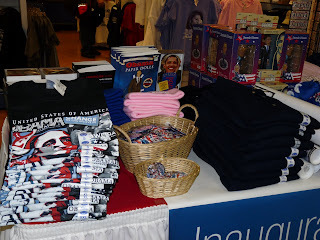 It was a mere few days before Obama's inauguration and in true American style, the airport was full of Obama paraphernalia. Books, t-shirts, chocolate bars, gum, and paper dolls...of course. The life size one was the best. I wanted to take it with us.